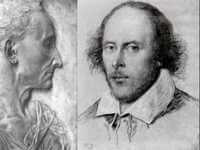 If students cannot read figurative language, they cannot decipher Shakespeare—and many other writers. Most students can follow the plot line of great literature, but typically they miss the poetry and insights into human nature that they should be connecting to their own experiences. With NEXUS students learn to read and appreciate figures of speech by Nexplicating them and linking the author’s insights to their own experiences (real or vicarious). If done in a dry, academic way, explications can be tedious, turning off rather than turning on students. Every NEXUS book includes exciting figurative language exercises and lessons that use a classroom-tested, 4-step explication method (the nexplication) that inspires students to mine metaphors and other figures of speech enthusiastically and link them resonantly to their own lives. A Simple Way to Teach Shakespeare’s Language Without Simplifying his Text. Shakespeare is the only writer that the Common Core Language Arts Standards specifically name as an author who should be taught. Unfortunately, Shakespeare’s language seems inaccessible and off-putting to most students. The Shakespeare Study Hall (SSH) will transform their negative reaction to his language into an enthusiastic appreciation of it. Students use Graphics, Cartoons, and a Four-Step Explication Method – the Nexplication – to identify, interpret and appreciate Shakespeare’s rich figurative language and to link his powerful insights to their own experiences. The SSH will dramatically increase students reading and critical thinking skills across the board. The Online Shakespeare Study Hall opens this fall. Classes of teachers who order two or more class sets of any one of the NEXUS Shakespeare volumes – Romeo and Juliet and the Renaissance, Macbeth and the Dark Ages, or Julius Caesar and Ancient Rome, from Republic to Empire – will be entitled to one semester of FREE access to the Shakespeare Study Hall. One-Term Admission Keys will be provided. The Study Hall will feature three distinct rooms: The Romeo and Juliet room, the Macbeth Room, and the Julius Caesar Room. The classes of teachers who order class sets of Romeo and Juliet and the Renaissance will enjoy one semester of free access to the Romeo and Juliet Room. Similarly the classes of teachers who order class sets of Macbeth and the Dark Ages or Julius Caesar and Ancient Rome will have free access to the corresponding room for one semester. Romeo and Juliet and the Renaissance – Connecting Shakespeare to history, art, music and science. Using games, rock lyrics and links to modern life, we help students tackle the challenging metaphors, personification, oxymorons, etc. in Romeo and Juliet. This section prepares students for the Shakespeare Study Hall where students rigorously explore more of Shakespeare’s language. 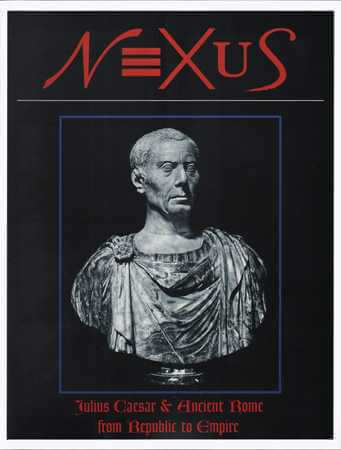 (Also see “Word Wars,” Macbeth and the Dark Ages, NEXUS and “Shakespeare, Caesar and Mysteries of the Mind,” Julius Caesar and Ancient Rome, from Republic to Empire, NEXUS. Students meet the real Capulets and Montagues. This chapter and the accompanying Romeo and Juliet and the Renaissance Guidelines include lessons for exploration of the politics behind the historical Capulet-Montague feud which helps students understand the change of heart of Lord Capulet regarding Juliet’s marriageable age after the death of Tybalt. Students explore Mercutio’s deprecating allusions to French fashions and learn about Renaissance fashions that reflect social mores and period history. This chapter, which is aligned with CCSS.ELA-LITERACY.RL.9-10.4 and CCSS.ELA-LITERACY.RL.9-10.7, examines the mythological references in Shakespeare’s great love story as well as depictions of Greek and Roman myths in Renaissance art. The Romeo and Juliet Guidelines include activities and lessons that further deepen students’ understanding of mythological Renaissance art. What did a Romeo and Juliet performance look and feel like in Shakespeare’s time. We take students inside the Globe Theater. “The section ‘Leonardo da Vinci’ examines Leonardo’s methods of observation and investigation briefly but well. Outlines an activity for learning to ‘think like Leonardo.’” – The College Board. 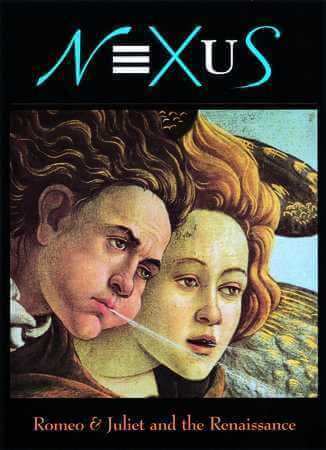 For details see Romeo and Juliet and the Renaissance, NEXUS. FOR DESCRIPTIONS OF THE OTHER CHAPTERS IN THIS VOLUME, SEE ROMEO AND JULIET AND THE RENAISSANCE. How a Stratford director gives a modern Macbeth a Split Personality. In this exciting chapter students learn graphics techniques for identifying and explicating the figurative language in Macbeth. In addition, this section prepares students for the Shakespeare Study Hall where they will rigorously explore more of the Bard’s language. (Also see “Word Games,” Romeo and Juliet and the Renaissance, NEXUS and “Shakespeare, Caesar and Mysteries of the Mind,” Julius Caesar and Ancient Rome, from Republic to Empire, NEXUS. Explication Exercises are Embedded in the Text. In this interactive chapter students compare themes in Macbeth to similar themes in Doctor Jekyl and Mr. Hyde, The Nutty Professor, Star Wars, and The Mask, and they closely explore figurative passages that reflect character development and plot progression in the play. The Macbeth Guidelines include lessons for reading the visual narratives in medieval manuscripts. FOR DESCRIPTIONS OF THE OTHER CHAPTERS IN THIS VOLUME, SEE MACBETH AND THE DARK AGES. Simple graphic techniques that help students identify figures of speech; and cartoons humorously that illustrate the passages with humor without sacrificing any of the subtlety of Shakespeare’s language. For more, visit the Online Shakespeare Study Hall (Coming Soon). In this chapter students explore Shakespeare’s insights into human nature and the psychological observations of the historical Julius Caesar (quotes taken from Caesar’s The Civil War) – insights and observations that help teens address their own challenges. Includes exercises for interpreting poems by Horace, Catullus, and Ovid that reflect Roman politics in the time of Julius Caesar and Augustus. The accompanying Guidelines feature lessons for further exploration of political Roman poetry. This chapter is aligned with CCSS.ELA-LITERACY.RL.9-10.4 and CCSS.ELA-LITERACY.RL.9-10.7 as well as Common Core History Standards CCSS.ELA-LITERACY.RH.9-10.3, CCSS.ELA-LITERACY.RH.9-10.4, CCSS.ELA-LITERACY.RH.9-10.6 and CCSS.ELA-LITERACY.RH.9-10.9. Critical thinking exercises are embedded in the text. This section “invites students to enter the stories told by Greek vases. It also outlines the stylistic features and iconography of sixth- and fifth-century art and suggests an art project.” – The College Board. This chapter “cites passages from Pindar and Philostratos, ‘the sportswriters of their day,’ to support a detailed depiction of the games. Students use the Oxford Classical Dictionary to interpret Pindar’s connections between athletes and mythology. A section describes the Panhellenic Heraia, women’s competitions.” – The College Board. 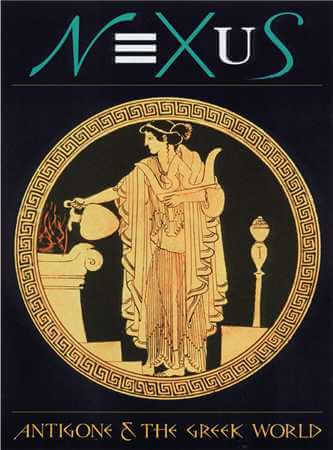 The Antigone and the Greek World Guidelines recommend related activities and lessons, including tracking Antigone’s lineage in Pindar’s second Olympian Ode and explicating metaphors and similes in Pindar’s Pythia 2 using the NEXUS four-step method. “The Art of the Muses” teaches students to transcribe ancient Greek music into modern western musical notation, describes Greek string and percussion instruments, and teaches students to make a panpipe. Resources for further study of Ancient Greek music are recommended in the Guidelines. This chapter, written in an exciting narrative style, “includes sections on the Persian and Peloponnesian Wars and Athenian democracy. It also highlights relevant terms: tyranny, oligarchy, arbitrator, tyrant.” – The College Board. 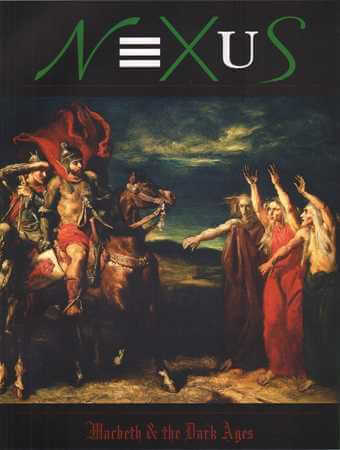 (See excerpts from “The History of Fifth-Century Greece, Antigone and the Greek World, NEXUS. The Guidelines include Greek history lesson plans and recommended ancillary readings in related sections of Thucydides’ History (books, chapters and page numbers are listed), Herodotus and others, and comparison of rhetorical styles among ancient Greek writers. “This brief chapter surveys appropriations of Greek myths from Homer to Freud to Disney. An activity: Reinterpret a myth as ‘a poem, movie, cartoon, or as a reflection of a psychological state. '” – The College Board. A highly engaging exploration of Keats’s famous poem that compares the Ode to a rock song with a similar theme and to the relief on an ancient sacrificial altar. This supplement ties in to “Greek Myths and Modern Man” (see above). FOR DESCRIPTIONS OF THE OTHER CHAPTERS IN THIS VOLUME, SEE ANTIGONE AND THE GREEK WORLD. 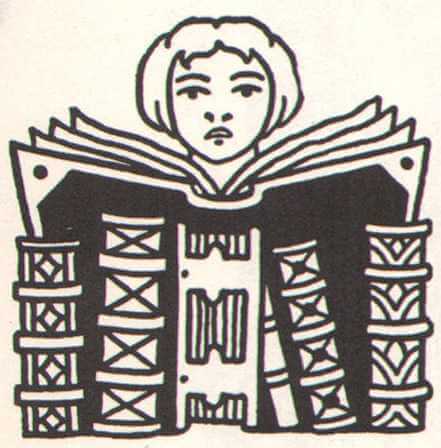 Chapters in The Lion in Winter and the Middle Ages provide any creative teacher with a cornucopia of ideas from which to draw lessons that cross the lines that usually separate subjects. Breaking Ranks, NASSP (National Association of Secondary School Principals). The play is accessible and often funny. The teenage sons of Henry II will appeal to students, and the fine Hepburn/O’Toole film is widely available on dvd. The play is decidedly modern: witty anachronisms and ironic asides make that fact impossible to forget. Even if the play is not your principal focus, this unit is a good introduction to medieval life and literature. – The College Board. Students learn to see various aspects of the Middle Ages through the eyes of characters in The Lion in Winter, from Feudalism, the 2nd Crusade, Gregorian Chant and the birth of Gothic Architecture to Arthurian romances, the birth of Heraldry, courtly love, troubadours, Magna Carta, and the physics of the crossbow (which centuries later, Leonardo da Vinci used to analyze the secrets of flight). A director takes us through the steps of staging The Lion in Winter. 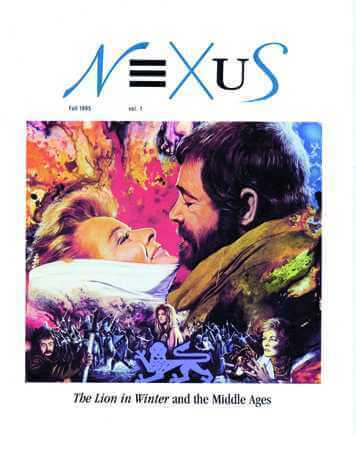 Explores how feudalism exacerbates the family feuds in The Lion in Winter. Students learn Eleanor of Aquitaine’s role in spreading good manners and the legends of King Arthur across Europe. Also, we explore the troubadour tradition that Eleanor’s grandfather William IX of Aquitaine launched and how courtly love language reaches across the ages, from Romeo and Juliet to Cyrano de Bergerac. [see “Mercutio and Mr. Manners,” Romeo and Juliet and the Renaissance, NEXUS.]. The Lion in Winter Guidelines include interdisciplinary activities and lesson ideas in literature, history, art, music, and science. We trace the American troubadour tradition to its roots (Woody Guthrie) and analyze the figurative song lyrics of modern troubadours like Sting, Sheryl Crow, and Tori Amos. Students investigate medieval medical practices and learn the role of medicine and Arabic discoveries in fostering the 16th and 17th century scientific revolution. FOR DESCRIPTIONS OF THE OTHER CHAPTERS IN THIS VOLUME, SEE THE LION IN WINTER AND THE MIDDLE AGES . 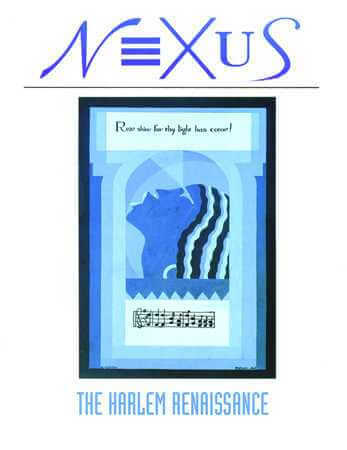 Songs of the Seventh Son is one of many thoughtful chapters in The Harlem Renaissance volume of NEXUS…Each volume…is a hybrid of a well-written interdisciplinary textbook and a lively, attractive magazine.” Classroom Notes Plus, NCTE (National Council of Teachers of English). The Harlem Renaissance Guidelines provide chronological unit planning, ancillary readings, interdisciplinary activities and projects, including an illustrated blues poem project modeled on an actual collaboration between a Harlem Renaissance poet and painter. Each step of this project – from writing a personal blues poem that employs irony, to designing stylized drawings, selecting supporting colors, and composing blues music – is outlined in the FREE lessons that accompany this NEXUS volume. FOR DESCRIPTIONS OF THE OTHER CHAPTERS IN THIS VOLUME, SEE THE HARLEM RENAISSANCE. 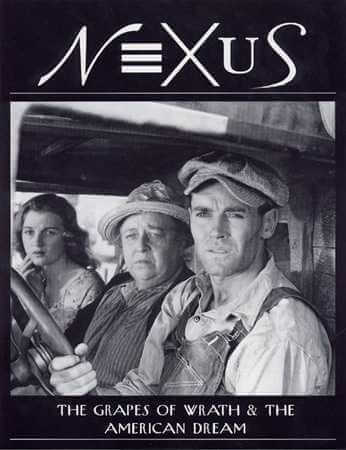 In this NEXUS volume students explore Steinbeck’s artistic response to the Great Depression, FDR’s alphabet programs and labor strikes, and then compare and contrast Steinbeck’s response to that of other 1930’s activist artists: WPA mural painters, Federal Theater Project playwrights, and film makers, giving students a broad and thorough understanding of the period and novel. Steinbeck: his influences, innovations and motivations. We track the turtle’s journey (and other migrating symbols) through The Grapes of Wrath. This chapter satisfies Common Core CCSS.ELA-LITERACY.RL.11-12.2 and CCSS.ELA-LITERACY.RL.11-12.4. Are your observation skills as well-honed as Steinbeck’s and the truck driver’s in chapter 2? We provide exercises for students to improve their “art of seeing.” See “Steinbeck in Focus – The Art of Seeing,” The Grapes of Wrath and the American Dream, NEXUS. The Guidelines include more observation exercises, activities, and lessons. Students hone their writing and observation skills by writing character sketches in the manner of John Steinbeck. See the Guidelines for exercises and observation-writing lessons. Students learn to identify the use of repetition in two pieces of extremely well known classical music – Beethoven’s Fifth Symphony and Handel’s “Hallelujah Chorus” from Messiah – to Steinbeck’s musical use of repetition and variation in the global chapters of The Grapes of Wrath and the poetic use of repetition in the biblical book Ecclesiastes. FOR DESCRIPTIONS OF THE OTHER CHAPTERS IN THIS VOLUME, SEE THE GRAPES OF WRATH AND THE AMERICAN DREAM. 2) Plot quizzes and a unit test for each play.